The whole reason for our California trip was to go out on a 4 day pelagic birding trip - out into the Pacific ocean to find west coast sea birds. The trip was an opportunity to see some birds that we don't get in the Atlantic ocean. The boat is a 95 foot fishing and natural history cruiser called the Searcher. Paul and Anita talked it up last year and we got 13 east coasters to sign up. That made the trip even better. This is not an ordinary pelagic trip where you sleep on the deck and bring your own Wawa hoagies. This boat has cabins and a chef! Barbara and I got a cabin together with bunk beds and room for our bags. Unfortunately for Barbara, our cabin was right next to the diesel engine which roared along all day and night. As for the birds and sea life, we saw it all including whales, dolphins, sharks, sea lions and lots of birds. 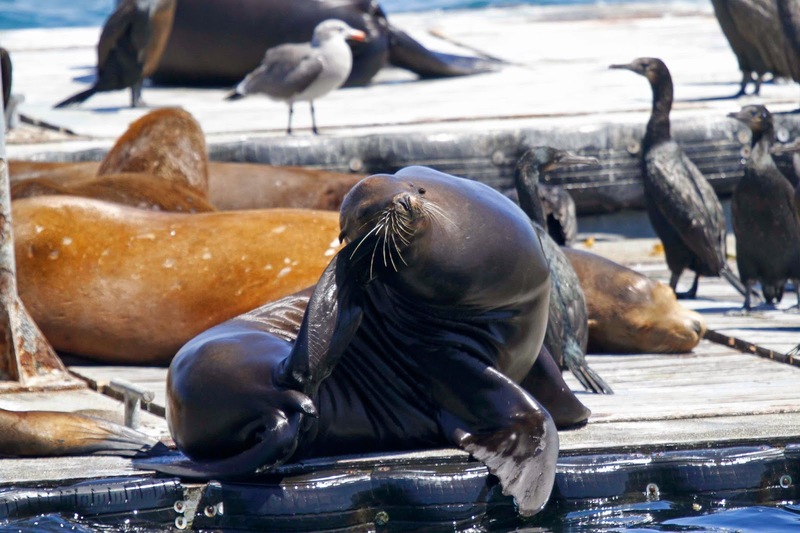 We headed out of San Diego port on Monday afternoon and immediately saw sea lions and birds along the docks and rocks of Point Loma. We hit the big stuff right away with whales. The 2 largest whales in the ocean showed up on our first day. First was a Blue Whale. 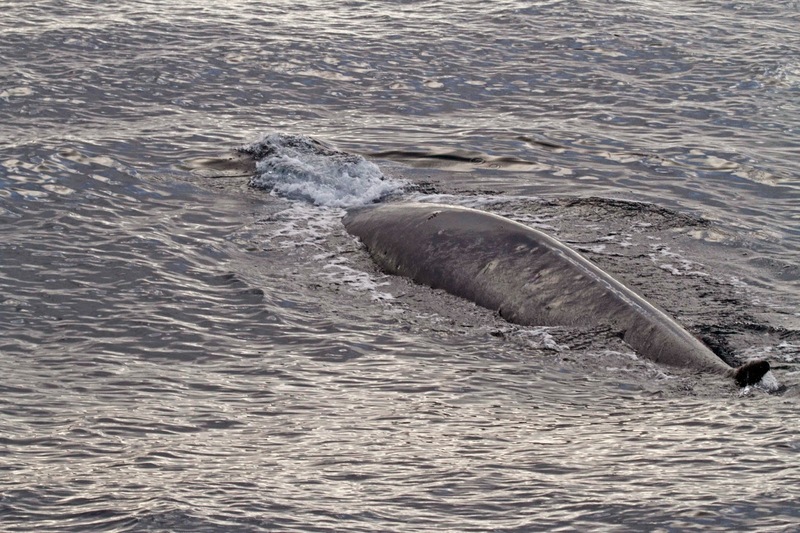 This is the largest being to ever live on earth - reaching lengths of 90 feet. Look at the nostrils on this beast. 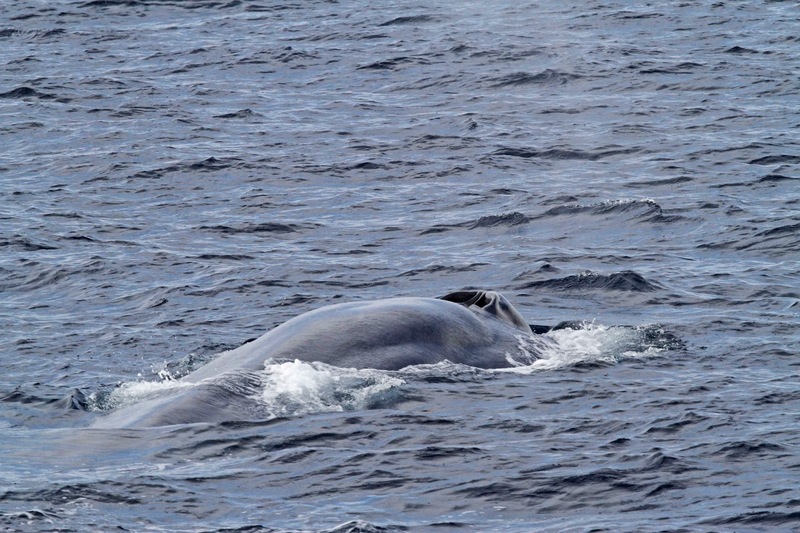 The second longest whale in the world is the Fin Whale. Seen here just after it dove under our boat! Zoom in to see the parasites hanging off of it. Common birds followed the boat including this Western Gull who I caught looking for chum in our wake. 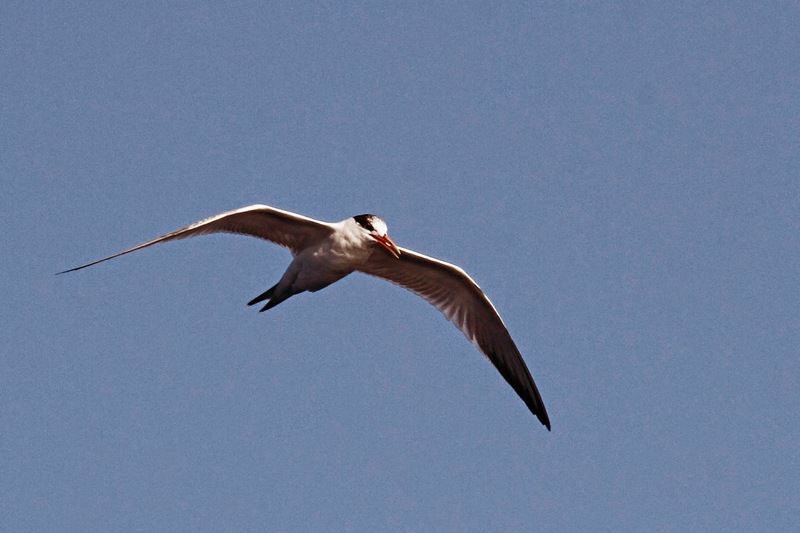 And this Elegant Tern followed us for a long time but turned back once we got far from land. But these are not the birds that we came out for. 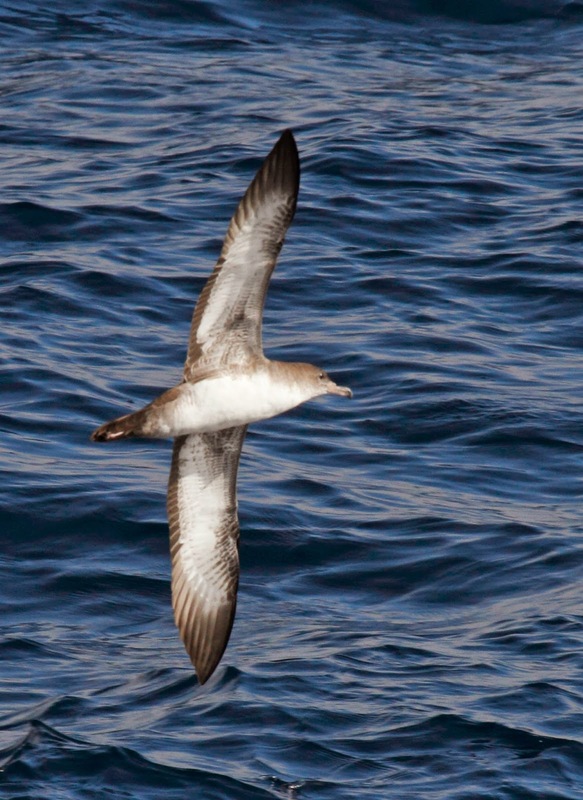 We were more interested in Shearwaters like this Pink-footed Shearwater. Named for their pink feet but frankly, alot of birds have pink feet. You can see the feet in this photo. 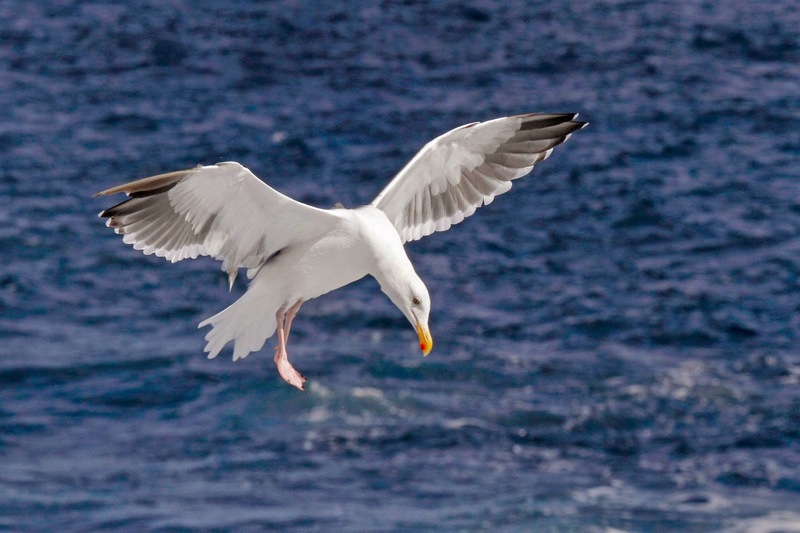 Many of the sea birds take flight by running across the water to get enough speed to lift off. 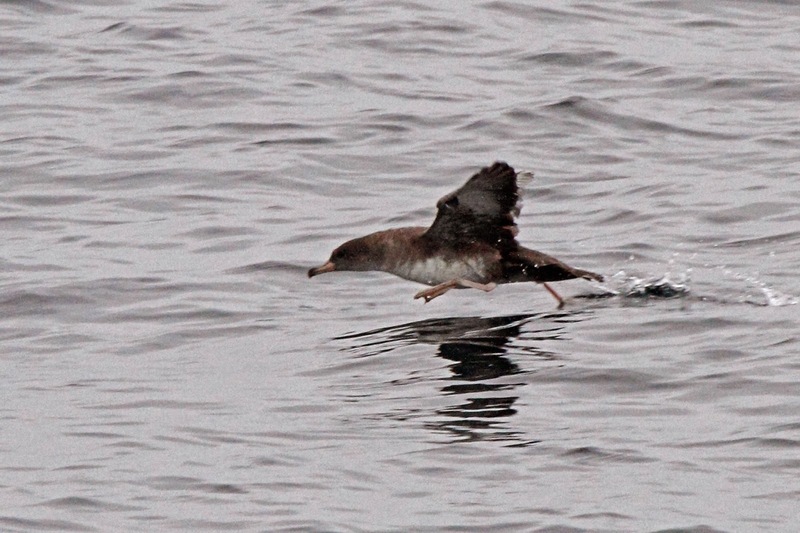 Other birds that most of the participants wanted to see were Craveri's Murrelets. 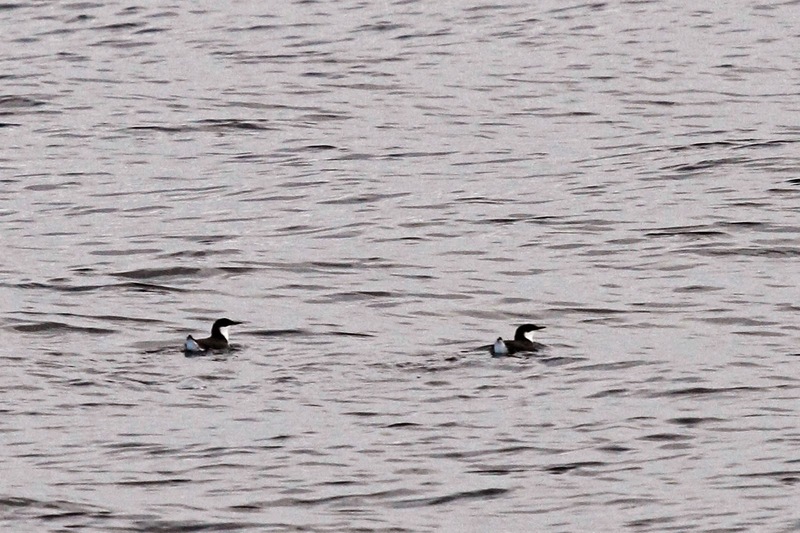 A murrelet is an alcid which is related to Puffins. 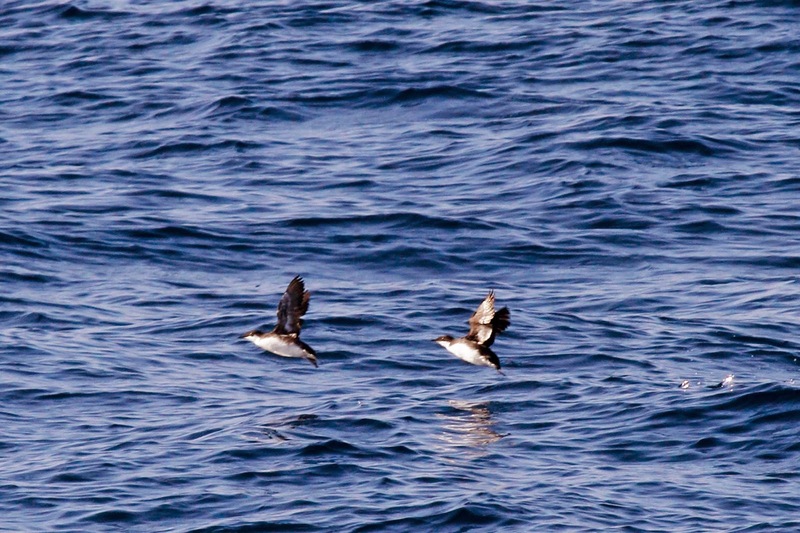 They are diving birds that remind you of Peguins only they can fly (which penguins can't do). Craveri's are another one of those birds that was just created by a split. They used to be Xantu's Murrelets until they split into 3 species. They are like little flying softballs. Try finding one of these in the vast Pacific ocean! Well, we found about a dozen of them over the course of the trip. Of course, whales aren't the only creatures in the sea. There are also (gulp) sharks. This Hammerhead Shark was cruising along the surface right next to the boat. You can barely make out the hammerhead shape under water. 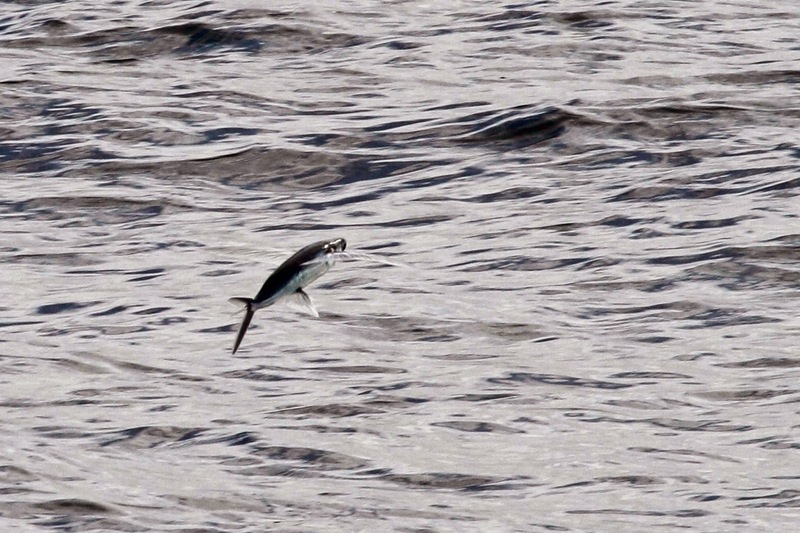 This flying fish actually flew for a long distance before diving back underwater. It was amazing to see this fish in action. Even more amazing that I actually got a photo. 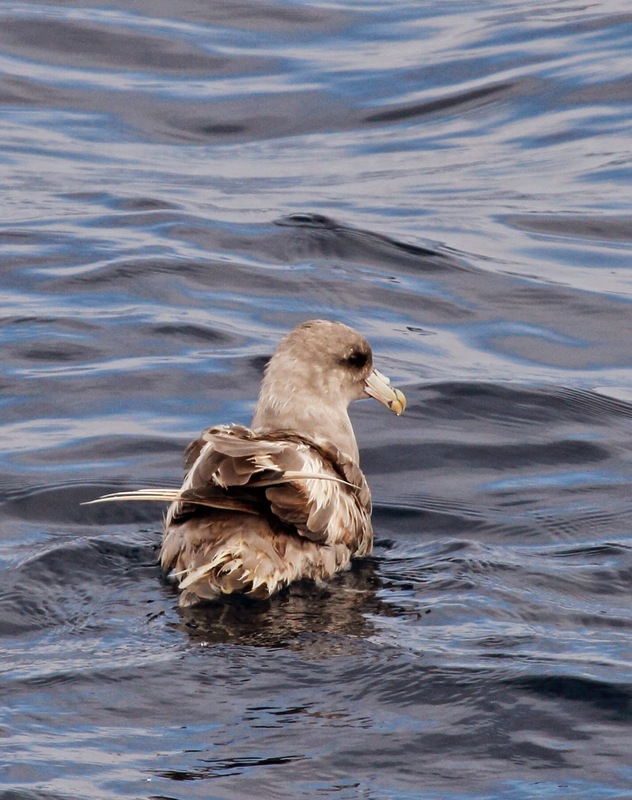 One of the birds that I can never get enough of is Northern Fulmar. We have these in the Atlantic too but we rarely see them. This guy almost got run over by the boat. He is in heavy molt and missing many feathers which makes it difficult to fly. Check out the feather shafts sticking out of his backside. These are new feathers that haven't unfurled yet. There is much more to tell you and more photos of amazing sea life and sea birds. Stay tuned.